Morph. 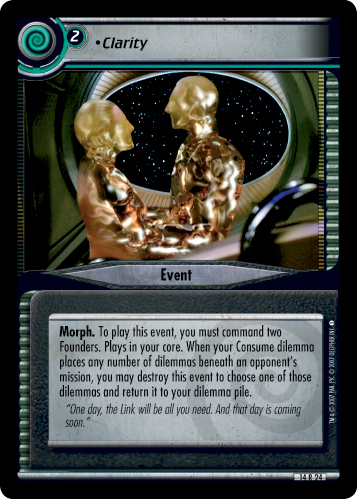 To play this event, you must command two Founders. Plays in your core. 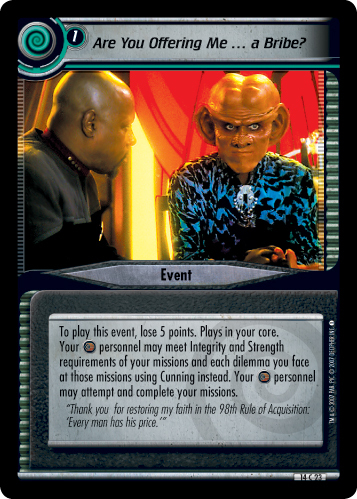 When your Consume dilemma places any number of dilemmas beneath an opponent's mission, you may destroy this event to choose one of those dilemmas and return it to your dilemma pile. "One day, the Link will be all you need. And that day is coming soon."